Through the Asbury Park Press, we got into contact with Kathy Barisciano, a year round resident of Ortley Beach. 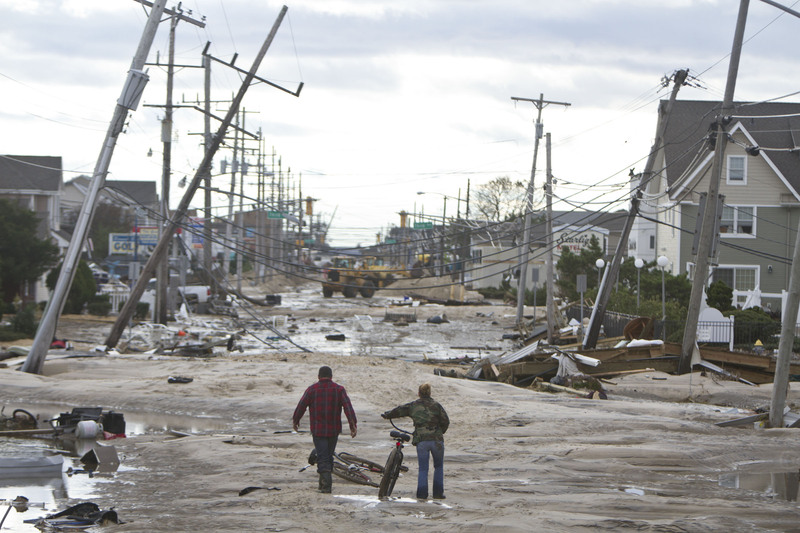 Ortley Beach is known as the Ground Zero of the storm, a heavily damaged area with homes that often completely collapsed or washed away during the storm. Kathy herself had just build her dream home six months before the storm. This made her ‘lucky’ in the sense that the foundation was strong enough to hold her house in its original place, instead of others who returned to only find an empty plot where their home used to be. Entire homes washed into the bay. In Kathy’s’ case, her home had remained on the foundation but two other homes had crashed into hers, smashing a hole in her wall and making rebuilding a complex situation. Rebuilding this town took a very long time, and is still an ongoing process. Kathy described the constant drilling and sound of beams being put into the ground as a harsh reminder of the storm, that lasted for years. Walking around, you can still see many boarded up homes or empty plots where people just left, unable or unwilling to rebuild. Kathy, actively involved in the Ortley Beach Homeowners and Taxpayers Association, is fighting for better flood protection in the area. The State wants to put up dunes along the shore, but often needed permission of private property owners to do so. Some of which, did not sign the easement, are slowing down the process and are putting people like Kathy in persistent flood risk. With rallies and protests they try to promote the importance of flood protective dunes and beach replenishments and convince everyone to sign the easements. If the dunes don’t get build, Kathy says she will leave her dream home and move away to safer ground. Great Help From The Local Surf School!